The intention of The New Phoenix Pottery Studio is to provide a supportive environment in which students can investigate the creative and functional possibilities of clay. Creating with clay, one of earth's most abundant raw materials, is an ancient process dating from the 7th century BC. Since Neolithic times, clay has been used to create household objects as well as purely aesthetic work. In addition, fellowship and community flourish in our classes. Please join us in an on-going exploration of a centuries-old craft. If you're looking for a unique gift, our gallery is an excellent place to start your search. 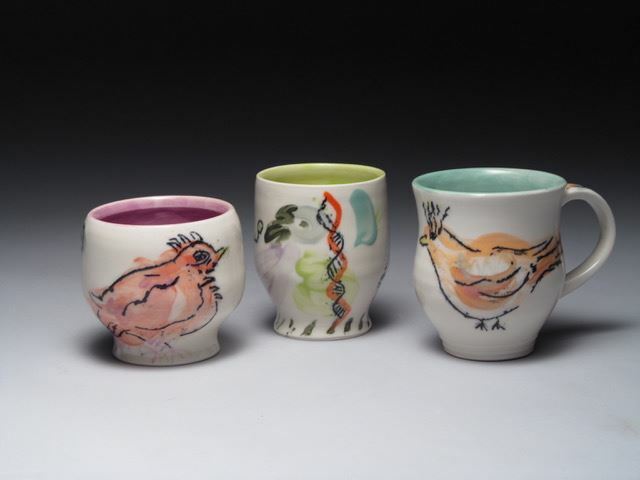 We feature local artists' work, as well as that of the NPP (New Phoenix Pottery) students and teachers. Come in and browse. Studio members have 24/7 access to the studio (except for when class is in session). Gallery hours are Monday 12 to 6, Tuesday 12:30 to 6:30, and Thursday 10 to 2. Weekend hours by appointment. Chris graduated from the Maryland Institute College of Art as a ceramics major. 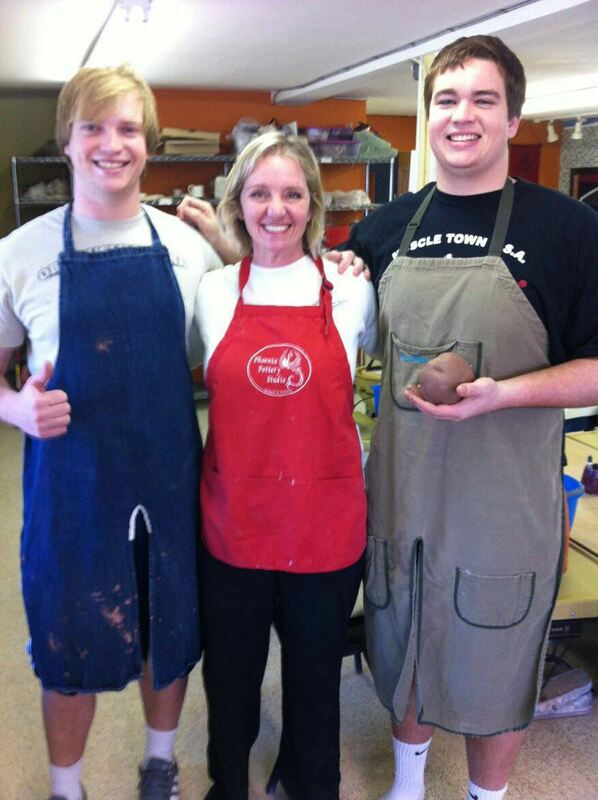 She returned to her love of clay after raising her family of three girls. 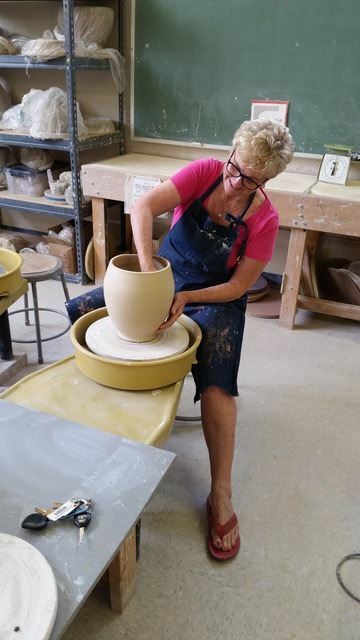 She has been involved with NPP for over ten years and loves sharing the joy of exploring the qualities of clay in a warm and nurturing environment. Currently, Chris enjoys making functional pottery filled with healing reiki energy. LYNNE MOLNER has been an artist and teacher for over 30 years. She earned her Master’s Degree in Education from Johns Hopkins University and Master’s in Science, majoring in Clinical Psychology, from Loyola University. 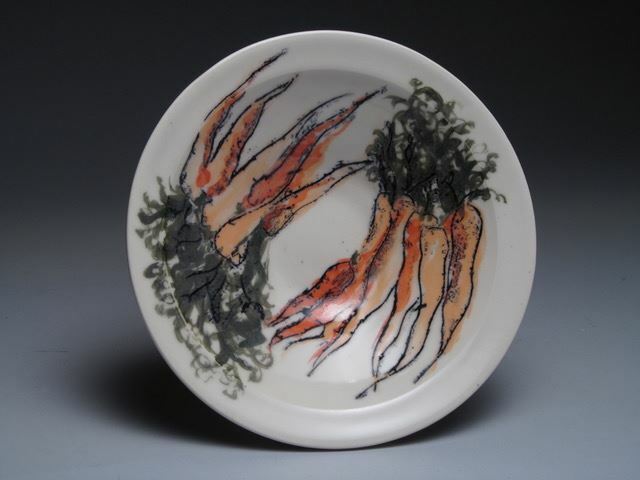 Lynne started her ceramics education at Baltimore Clayworks, expanding her skill-set through a variety of workshops with master potters at Haystack Mountain School of Crafts (ME) and Penland School of Crafts (NC), Workhouse Art Center (VA) and Sugar Maples Center for Creative Arts (NY). Her current body of work combines intuitive, expressive and incised paintings of familiar imagery on to utilitarian ceramics. She has exhibited her functional pottery in juried shows for the last several years. She strives to imbue a personal quality of playfulness on to pots made for everyday use. Her instruction focuses on knowledge of fundamentals and inspired craftsmanship. Lynne encourages her students with exploration and technique to be open to the possibilities of their own creativity. Brad Blair is an artist, educator and gallery coordinator living in Baltimore, Maryland. Prior to earning a Master’s of Fine Art (MFA) degree in 2014 from Florida State University, he graduated from Towson University in 2009 with a Bachelors of Science, majoring in Art & Design. Blair creates and exhibits his artwork locally and nationally through competitive and juried opportunities. 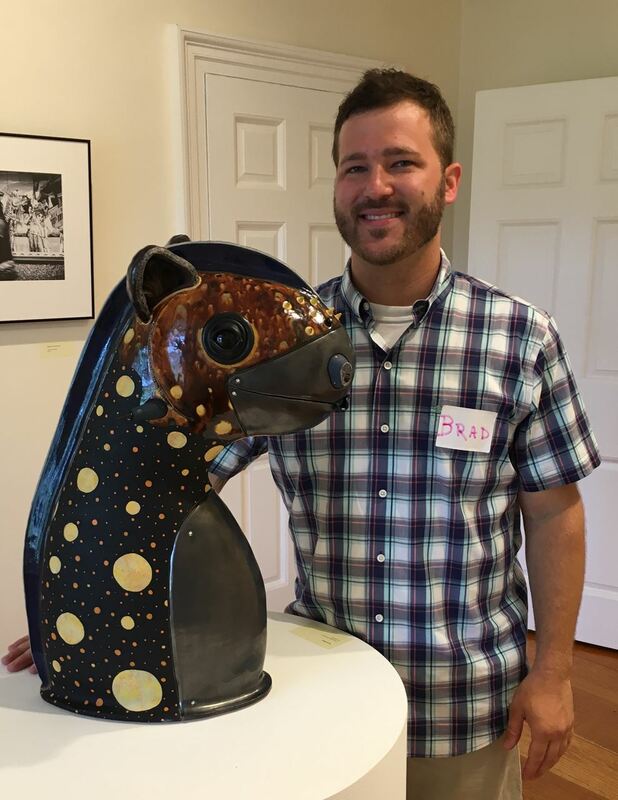 He instructs ceramic classes at Towson University and Baltimore Clayworks, as well as holding the position of Chesapeake Gallery Coordinator at Harford Community College. Through his creativity, imagination and patience, Blair will help you find your way in clay! Jeff has been teaching pottery in Baltimore county for 18+ years for several schools and pottery studios. He has given private instruction in clay, as well as provided tutoring in music and the sciences. This course offers new adult students an 8-week introduction to the potter’s wheel. This class is designed for students who are seeking an extended studio clay experience as they build a foundation of basic pottery wheel techniques. Participants will experience methods of centering clay, lifting and shaping cylinder and bowl forms, trimming and adding handles. Through the completion of several projects students will experience basic properties of clay, discover the diverse range of glazes and methods to finish work. This 8-week course is for adult students who wish to build upon Basic wheel or Intermediate wheel experience. 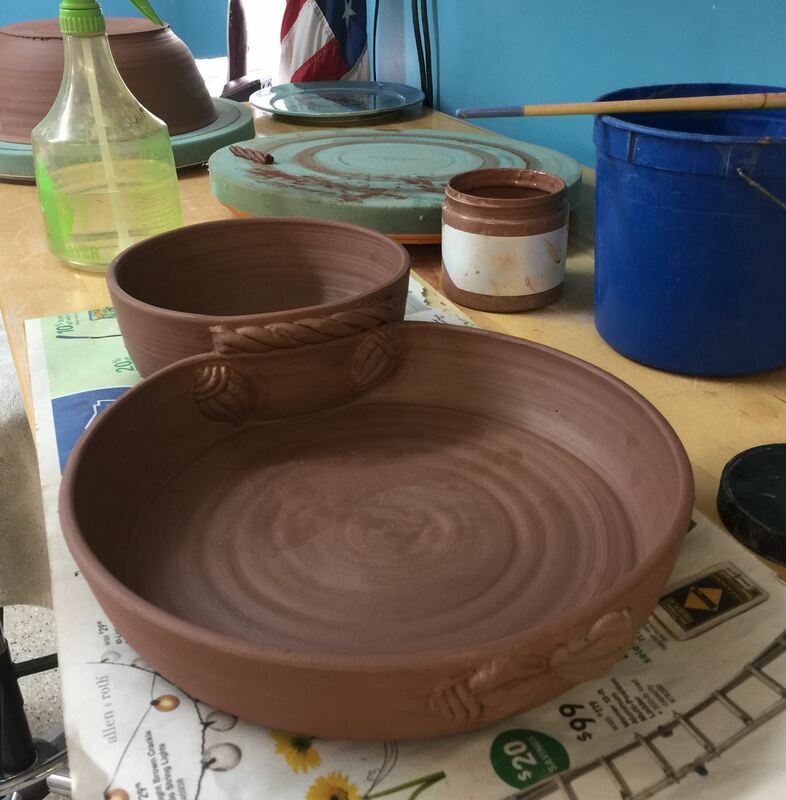 The instructor will demonstrate throwing basics such as centering clay, throwing bowl and cylinder forms. Intermediate throwers will be introduced to new techniques and challenged to expand their skills with larger forms such as lidded vessels and plates or surface design while continuing to refine the basic throwing and trimming techniques. This class is for students with previous wheel experience looking to continue refining basic skills, but all are welcome.